LG has used the announcement of the Viewty Smart launch to re-confirm it plans to bring out a 12MP cameraphone later this year, the news TechRadar brought you exclusively in February. Speaking to Jeremy Newing at Mobile World Congress in Barcelona, he told us that the company was 'absolutely' going to be making the next step in mobile photography. Newing said to TechRadar: "We'll very much be releasing a 12MP camera phone... it's the same when you're buying a car, if you've got two equal cars then you'll obviously go for the one with the bigger engine. "However, it's important that people realise when taking 12MP images, they'll be using huge amounts of data, and it will be more difficult to do things like send such files." We assume that means that the next phone will be packed with much more storage to facilitate such a high level of memory-hungry photos, possibly around the 32GB level. 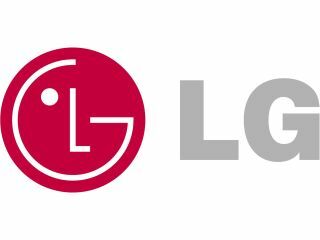 LG announced today that the new phone will be launched later this year, and will come with 'even more smart features', something Newing elaborated on when he spoke to us. "We will do that [bring a 12MP cameraphone] and add differentiation, through things like beauty enhancer and smile shot." The new phone will be in competition with Sony Ericsson's Idou, which was also announced at MWC, which has a 12.1MP sensor and will also be the first to carry the new 'Entertainment Unlimited' branding.